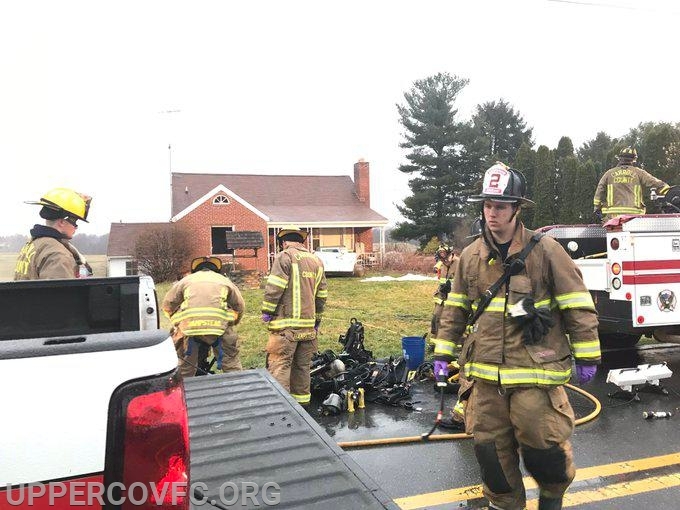 Members from your Upperco Volunteer Fire Company were called to assist in a welfare check that took an unfortunate turn of events for our canine friends. 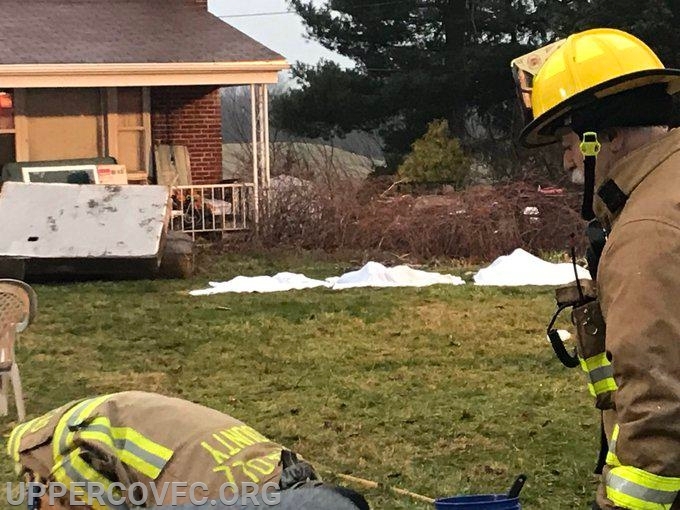 The initial call came in at approximately 4 PM on Friday, April 5, 2019. 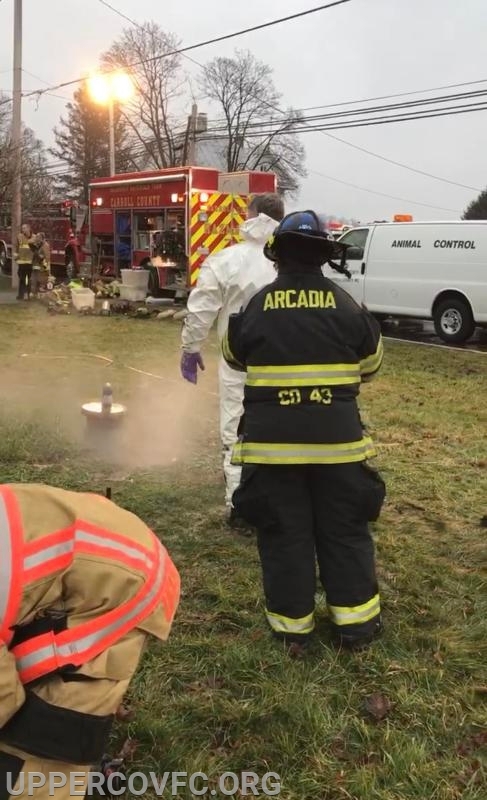 The call was for assistance to Carroll County Fire and Sherriff Departments as a possible body recovery in the 4300 block of Black Rock Road. However, the situation changed quickly when it was discovered the house was full of numerous dogs that were suffering from various levels of neglect. 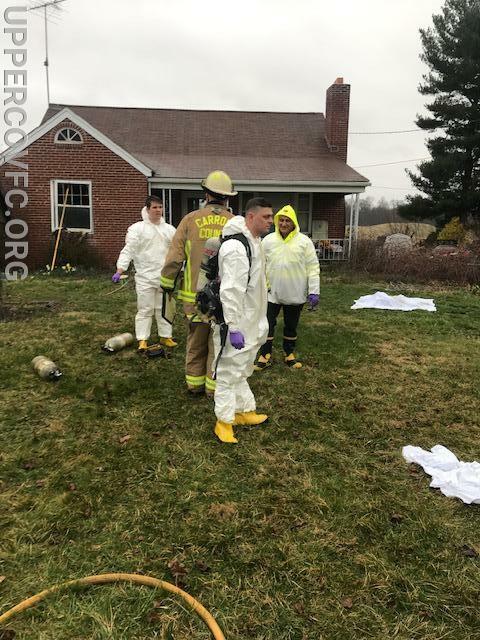 Upperco VFC members quickly acted as the decontamination crew, scrubbing and washing crews as they came out of the house in hazmat suits, covered in dog excrement. 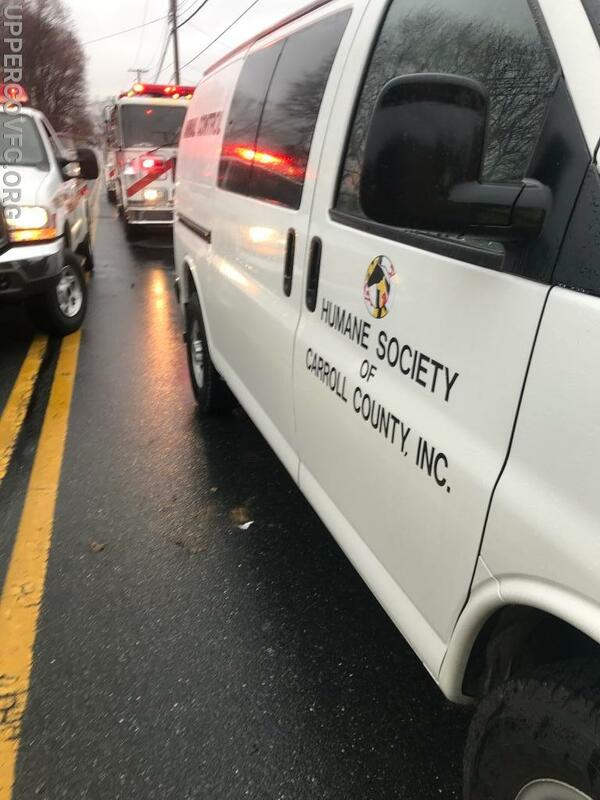 27 dogs were rescued by the Carroll County Humane Society over the course of the next couple of hours, eleven deceased dogs were removed from the property. According to the Humane Society, most of the dogs will recover and be available for re-homing in the near future. 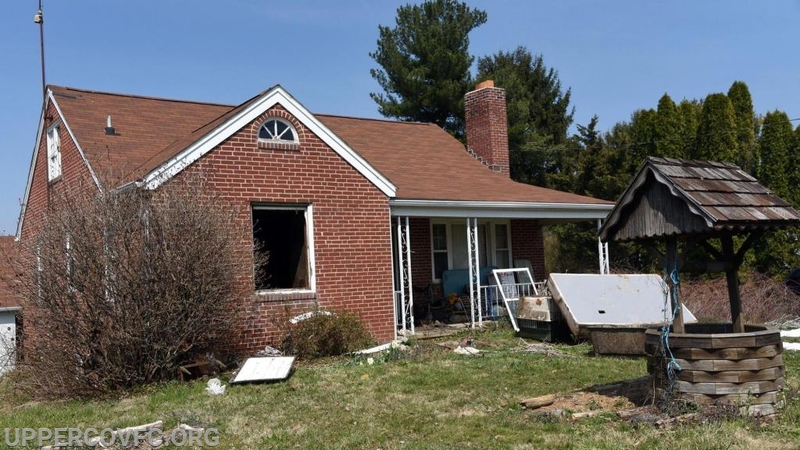 Upperco VFC will be accepting donations at the front of their station (5415 Arcadia Ave, Upperco, MD 21155) from Monday April 8th-Saturday April 13th. Items needed are towels, puzzle toys, kongs, kong filler, dog food (preferably Purina), a floor cleaner. Humane Society is also accepting monetary donations as well as supplies to assist in offsetting the cost of the massive rescue operation. 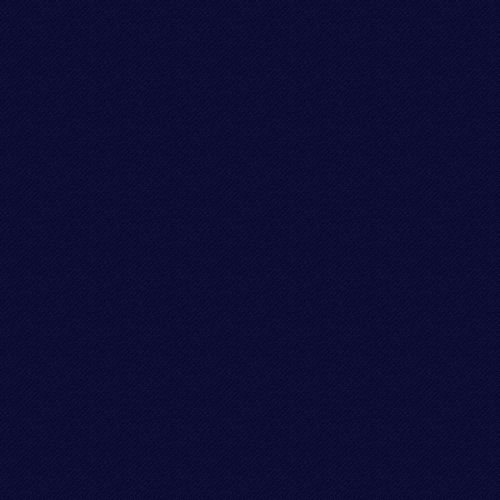 More information on monetary donations can be found at: https://hscarroll.org/donate/. 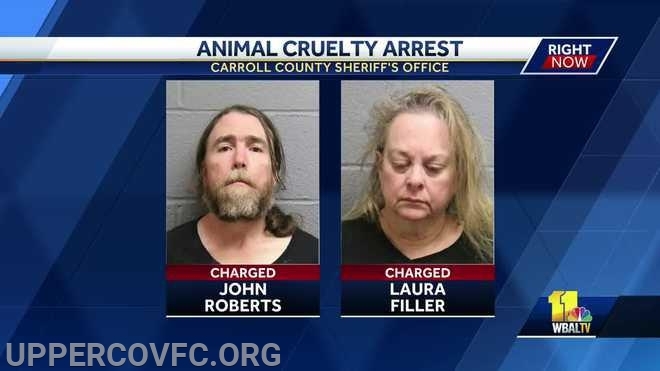 According to the Carroll County Times, the Homeowners were located in Westminster and arrested over the weekend and face 51 charges, including animal cruelty, aggravated cruelty, and hazardous substance/endangered pet according to the Carroll County Sheriff office new release. 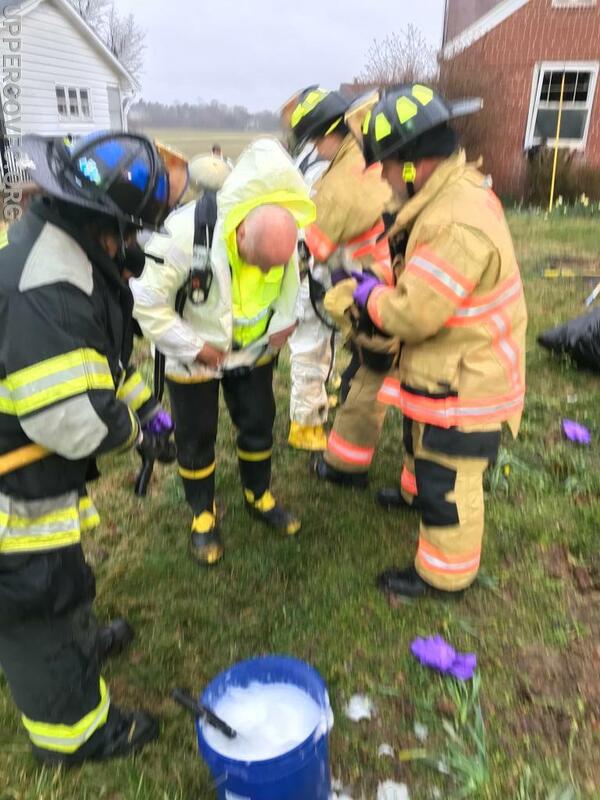 It should be known that this scene was particularly gruesome and is a reminder of what your local volunteer fire company goes through on any given day! Please support your local volunteer fire company! We thank God for all the work you do. So sorry to hear about the dogs.Grateful you were there.